If you want to see hundreds of lovely trees showing off their pink blossoms, you can find what you want at the Subaru Cherry Blossom Festival (http://subarucherryblossom.org), which is known in Japanese as Sakura Matsuri. 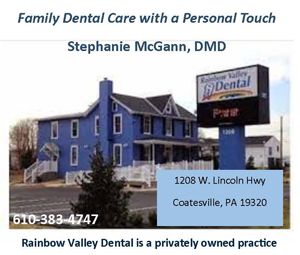 The event is running April 6-14 at a variety of locations around the Philadelphia area. For centuries, Japan has been celebrating the beauty of the elegant pink cherry blossom with picnics under the trees and traditional music and dance performances. The Subaru Cherry Blossom Festival offers visitors the opportunity to explore the best of Japanese culture including delicious cuisine, delicate craft displays, intriguing performances and demonstrations of traditional customs. Sakura Week at Shofuso will be held from April 6-13 at Shofuso (Horticultural and Lansdowne Drives, Philadelphia). Visitors will be able to take in the splendor of the cherry blossoms at one of the top-ranked Japanese gardens in North America. In addition to the spectacular scenery and 17th-century-style Japanese house, Sakura Week will feature daily demonstrations, highlighting a different element of Japanese culture each day — tea, taiko, gardening, kimono dressing, and more. Shofuso will be open daily until 8:30 PM during the festival. All Sakura Week events free with regular admission to Shofuso: $12 general admission, $8 students with ID, seniors, youth 6-17. The centerpiece event is Sakura Sunday, a day-long outdoor celebration of all things Japanese. It will be held on April 14 from 9:30 a.m.-5 p.m. at Fairmount Park’s Horticulture Center (100 North Horticulture Drive, Philadelphia). Tickets are $15 for adults with children (12 and under) admitted free. Sakura Sunday features live music and dance performances, martial arts, cultural demonstrations, arts & crafts, karaoke, and much more. Some of the featured attractions are Little Akiba Anime & Cosplay Area, Subaru Sushi Samurai of the Year, Prettiest Pet in Pink Parade, Harajuku Fashion Show and Shofuso Tours. The Sake Garden at Shofuso will be held from April 6-13. The Sake Garden, a pop-up beer garden, is Philadelphia’s take on the Japanese tradition of cherry blossom picnics. Visitors can enjoy beer, cocktails, and Asian fusion fare beneath the trees in Fairmount Park. The Sake Garden is located along the walking path towards the gazebo and sundial. Longwood Gardens (Route 1, Kennett Square, 610-388-1000, www.longwoodgardens.org) is presenting a special celebration of spring. At “Spring Blooms,” which is running through May 5, visitors can enjoy hundreds of lush acres featuring burgeoning gardens of daffodils, tulips, magnolias, azaleas, flowering cherries and more than 240,000 flowering bulbs. This a great time to explore all of Longwood’s 1,100 acres. As colorful spring blooms make their entrance, Longwood radiates with renewal and growth. Early spring bulbs like glory-of-the-snow, winter-aconite, and crocus first herald the season’s arrival, with gorgeous tulips, wisteria, and flowering trees deepening our lush spring tapestry of color, fragrance, and warmth. In the indoor part of “Spring Blooms,” lilies, delphiniums, hydrangeas and other spring blossoms fill the conservatory with color. Also featured are Longwood’s grand treehouses, whimsical Topiary Garden, and colorful Idea Garden. Knowledge also blooms this spring as Longwood focuses on the many learning opportunities the site offers. No matter your age, interest, or skill, Longwood has exciting education programs, as well as walks and talks with our horticulturists, educators, and students. Admission to Longwood Gardens is $23 for adults, $20 for seniors and $12 for students. The Brandywine Valley has established a reputation for being horse country. It is an area with many horse farms and an annual calendar filled with equestrian events. The local schedule of annual equestrian events features a variety of top-flight horse shows, dressage events, Grand Prix events and point-to-point races. 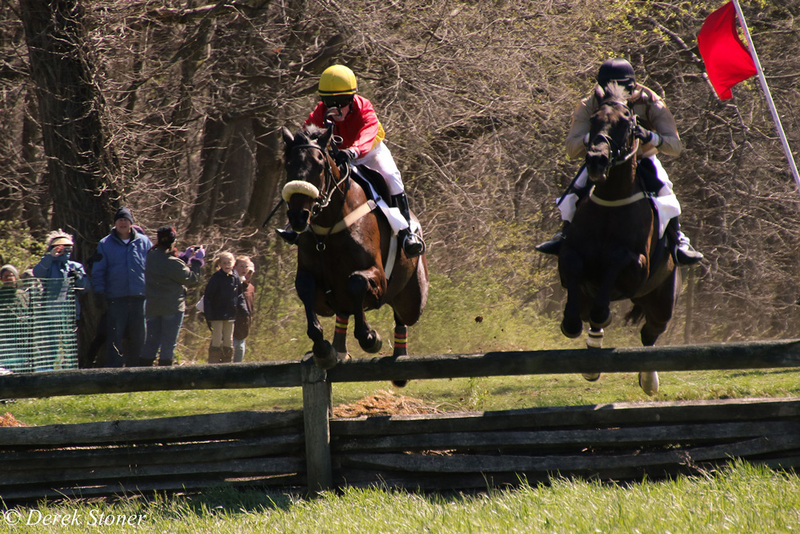 The 2019 season will shift into gear this weekend with the 77th Annual Brandywine Hills Point-To-Point Races, which will be held April 7 on the grounds of the Brandywine Valley Association’s 318-acre Myrick Conservation Center (1760 Unionville-Wawaset Road, Unionville, 610-793-1090, www.brandywinewatershed.org). The Brandywine Valley Association’s popular annual early-spring event is a family-oriented event which also features an array of activities for youngsters, including crafts activities. Gates will open at 11 a.m. with children’s activities such as “Pennies in the Hay” (kids are invited to scour a stack of hay for coins), face painting and stick pony races. The steeplechase racing event features a challenging three-mile course with 17 timber jumps. The Brandywine Hills Point-to-Point races are sponsored by the Radnor Hunt. The races begin at noon with the Field Master Chase. It is followed by the children’s races, with the adult Ladies Race resuming at 1:45 after the parade of hounds. The Heavyweight race is at 2:15 p.m.; the Novice Race is at 2:45 p.m.; the Open Race is at 3:15 p.m.; and the Owner-Rider Foxhunter’s Race closing out the day at 3:45. There will also be a vendor area featuring dealers with a wide variety of horse and racing items as well as vendors with hot and cold food items and beverages. Another special attraction this year will be a raffle with an array of impressive prizes. Tickets for the well-attended annual event are $20 per car. On April 5, it will be time for another installment of Kennett Square’s First Friday Art Stroll in downtown Kennett Square (http://historickennettsquare.com/recreation-culture/art-stroll/). Kennett Square’s Art Stroll is a monthly celebration of the local art scene as it is showcased in the galleries, shops and restaurants throughout town. Residents and visitors alike are encouraged to stroll the tree-lined streets and browse the many businesses that stay open late. There will be a musical reception at Square Par Gallery — “Poetry of the Body” with music by the Al Moretti Trio. Moretti is a painting jazz musician, trumpeter, and composer. 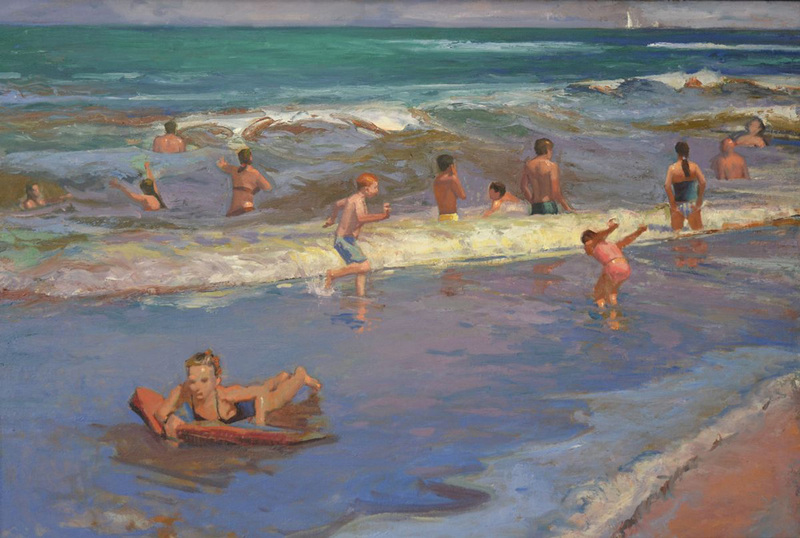 The Art Stroll runs from 6-9 p.m. on the first Friday of each month. After 5 p.m. on Friday, visitors can take advantage of free parking anywhere in the Parking Garage and at any street meter. First Friday in West Chester will take place on April 5 starting at 5 p.m.
Shops and boutiques are open late on the First Friday of each month to show off their newest seasonal fashions and giftware items. Visitors will have the opportunity to browse the in-store specials and enjoy complimentary refreshments while they explore the variety of unique items each shop has to offer. There is free parking after 5 p.m. on all First Fridays at street meters and in metered surface lots. All garages are still pay-to-park. However, the Justice Center Garage is free after 5 p.m. on Friday and remains free through Sunday. There will also be First Friday happenings in Lancaster tonight. Lancaster’s popular First Friday (http://www.visitlancastercity.com/first-friday/) is an arts extravaganza that runs from 5-9 p.m. on April 5. Visitors to downtown Lancaster will have the opportunity to discover innovative exhibitions, performances and perhaps a few surprises as they walk the streets lined with trees and distinctive architecture. Unique boutiques and excellent restaurants complement the art galleries, artisan studios, museums, performing groups, professional theater, symphony orchestra and art college that form Lancaster’s arts community. 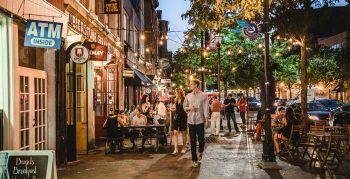 Another First Friday event this weekend will take place in Old City Philadelphia (230 Vine Street and locations throughout Old City Philadelphia, 215- 625-9200,www.oldcitydistrict.org). On the first Friday of each month — year-round — Old City’s galleries, studios, shops and restaurants open their doors for First Friday, in an epic exhibition of the neighborhood’s vibrant arts scene. 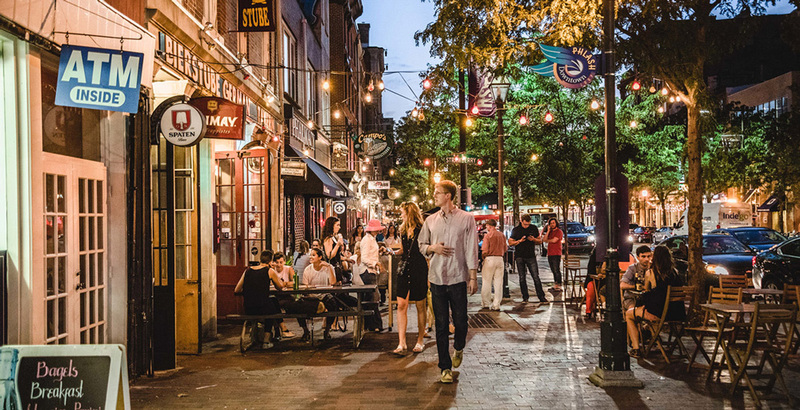 Old City Arts Association launched First Friday in 1991 to introduce Philadelphia to the improving neighborhood and the artists and designers who were bringing it back to life. Two decades later, Old City is a nationally recognized arts destination, named in 2013 as one of the country’s top ArtPlaces by the ArtPlace Foundation. On the first Friday evening of every month, the streets of Old City fill with art lovers of all kinds who wander among the neighborhood’s 40-plus galleries, most of which are open from 5-9 p.m.
Winterthur Museum, Garden & Library (Route 52 just south of the Pennsylvania state line, Wilmington, Delaware, 800-448-3883, http://www.winterthur.org) has just opened another blockbuster exhibit. After the unprecedented success of its Downton Abbey exhibit a few years ago, Winterthur has again turned its focus to a popular television series set in the past in England. Now through January 5, 2020, Winterthur is presenting “Costuming THE CROWN.” The exhibition is the first global comprehensive exhibition of costumes from the first two seasons of the hit Netflix show. From the dazzling gold of Queen Elizabeth’s coronation robe to the simple sophistication of Princess Margaret’s wedding dress, “Costuming THE CROWN” features 40 iconic costumes from the beloved Emmy® and Golden Globe award-winning drama “The Crown.” The Netflix Original series, produced by Left Bank Pictures in association with Sony Pictures Television, is a dramatized history of Queen Elizabeth II’s early reign – an era when the fragile social order established after the Second World War broke apart. Beginning with spectacle and pageantry, “Costuming THE CROWN,” reveals everything from the majesty of royal crowns and tiaras to the private outfits worn by the royal family behind the palace doors. This intriguing exhibition provides a behind-the-scenes look at how costume design is used to complement riveting drama, re-create history, and define characters from the footmen to the queen. Visitors can see how Emmy®- and BAFTA-winning designers Michele Clapton and Jane Petrie worked painstakingly to be authentic in the detailing of everything from King George’s medals and military ribbons to Queen Elizabeth’s iconic dresses for royal tours. “Costuming THE CROWN” explains the significance and importance of costume design to the story. Visitors will move through four sections in the exhibition, beginning with “Establishing Roles,” which explores the transformative nature of costume, looking at the ensembles worn for the coronation of Elizabeth II in 1953. With these impressive garments, steeped in history, the young Princess Elizabeth takes on her new role and becomes the queen in much the same way the actors are transformed into their roles through costume. “Dressing the Part” explores the replica costumes, based on extensive photographic and video archive research, and considers how clothing signifies status. By looking at a variety of costumes―from a schoolboy uniform and official military uniforms to the exquisite outfits worn to attend a royal wedding―we see the role of clothing in indicating one’s place in society. “Creating Character” investigates scenes in which the costume designers were allowed to interpret the characters’ looks with their own designs and explores private moments in their daily lives. “Capturing the Image,” the final section of the exhibition, looks at clothing worn by the queen and others in actual photographs and on television, highlighting the imagery the royal family chose to assert its status and to cultivate its public persona. Winterthur, which is known for its impressive collection of American decorative arts, naturalistic gardens, and research library for the study of American art and material culture, offers a variety of tours, exhibitions, programs, and activities throughout the year. General admission includes a tour of some of the most notable spaces in the 175-room house as well as access to the Winterthur Garden and Galleries, special exhibitions, a narrated tram tour (weather permitting), the Campbell Collection of Soup Tureens, and the Enchanted Woods children’s garden. Admission fees are $20 for adults, $18 for students and seniors, and $6 for ages 2–11. Museum hours are 10 a.m-5 p.m. Tuesday through Sunday. (3400 West Girard Avenue, Philadelphia, www.philadelphiazoo.org) is one of America’s premier zoological attractions. Last year, the Philadelphia Zoo, which is accredited by the Association of Zoos and Aquariums, welcomed more than 1.25 million visitors. As great as the Zoo is, it is never content to just rest on its laurels. On April 6, the Zoo will kick-off spring of 2019 with an exciting new exhibit, the return of a Philadelphia tradition, and a new food destination. Beginning this weekend, visitors to the Zoo will be able to experience “Creatures of Habitat” and take a fantastic adventure visiting 12 amazing life-size LEGO® brick vignettes situated throughout the Zoo. This gazillion piece journey shares the issues animals are facing around the world and spotlights the heroes working to save them. 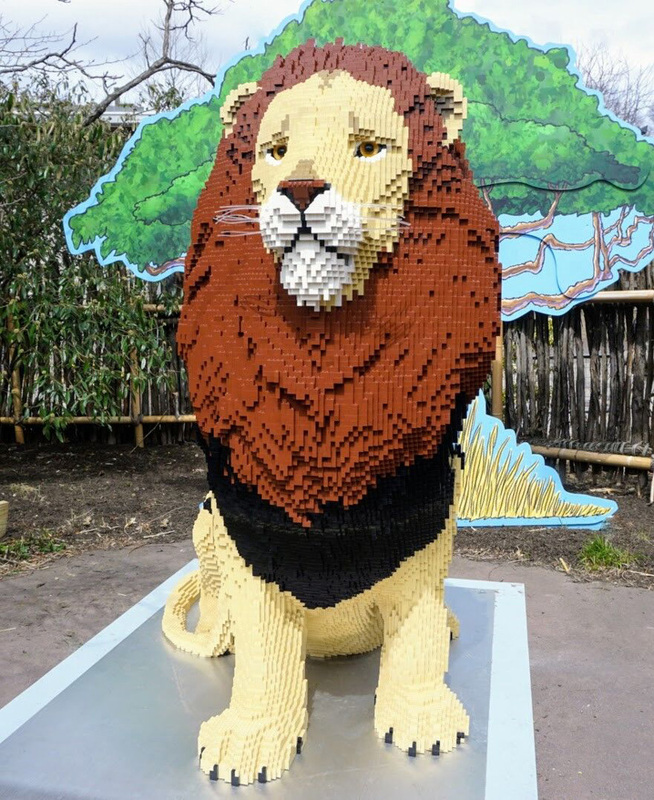 Each life-sized LEGO® brick scene is intricately fashioned from thousands of LEGO® bricks and is on exhibit only at Philadelphia Zoo through September 30th. ““Creatures of Habitat” has been in the works for 10 years,” said Philadelphia Zoo Chief Marketing Officer Amy Shearer, during a phone interview last week. “The fragility of habitats is always a big part of this mission of the zoo. Humans occupy a big part of the earth’s surface and really affect wildlife. For this exhibit, we decided to use the medium of LEGOs. “Creatures of Habitat” highlights the zoo community’s role in protecting wildlife. Crafted by Sean Kenney, one of only seven American LEGO® certified professional artisans in the world, “Creatures of Habitat” features more than 30 life-size animal sculptures built from hundreds of thousands of tiny LEGO® bricks. Fragile in the wild, some on the brink of extinction, the species represented in these vignettes range from Borneo to Brazil and the Arctic Circle to Africa, and in size from a 500-pound polar bear to the delicate golden lion tamarin. According to Vikram H. Dewan, President and CEO of the Philadelphia Zoo, “Every child – and adult– can relate to the universal desire to protect our planet, this place we all call home. And there is no better time to bring back the famous Zoo Key, one of the most nostalgic and memorable items for the millions of children and adults that visit the Zoo and build deep connections with wildlife from around the globe.”. While visiting” Creatures of Habitat,” guests can use the Zoo Key at audio books located at each LEGO® brick sculpture as well as other areas throughout the Zoo. Visitors can unlock insider secrets and stories about the magnificent creatures living at Philadelphia Zoo, told by animal keepers who care for them. The “Zoo Key” is a Philadelphia tradition that began many, many years ago. “People who now are parents tell us how they came here as kids and had their Zoo Keys back then,” said Shearer. “So, we’re excited to bring it back. It was discontinued in the early 2000s. Before that, it ran for decades. Many people still have and hold their original keys as a keepsake to cherish. The. Also opening on the same day as “Creatures of Habitat” is The Urban Green, a new open-air food marketplace and chill zone designed in partnership with Groundswell Design Group. The Urban Green offers an array of delicious options from fresh, delicious sandwiches and custom fries to frequently changing craft beers and vibrant wines. There are a lot of attractions that bring people back to the Philadelphia Zoo year-after-year. Animals are on the move like never before at Philadelphia Zoo with Zoo360, a first-in-the-world system of see-through trails passing through treetops, crossing over pathways and connecting habitats, giving animals like amazing big cats, majestic primates and marvelous meerkats the opportunities to travel and explore. Visitors can check out the Zoo’s new baby western lowland gorillas, baby giraffe, hippos, white rhino, zebras, red pandas, Amur tigers and explore the site’s 42-acre Victorian garden. Other popular attractions are KeyBank Big Cat Falls, PECO Primate Reserve, McNeil Avian Center and KidZooU, a wildlife academy that offers dynamic displays, rare breeds and hands-on experiences. Philadelphia Zoo is the second highest ticketed attraction in Philadelphia, one of the region’s foremost conservation organizations and home to nearly 1,300 animals, many rare and endangered. Admission to the Philadelphia Zoo is $24 for adults and $19 for children (ages 2-11). On April 6, there will be a “Star Party at Hoopes Park” (700 Hoopes Park Lane, West Chester, www.west-chester.com/139/Parks-Recreation). 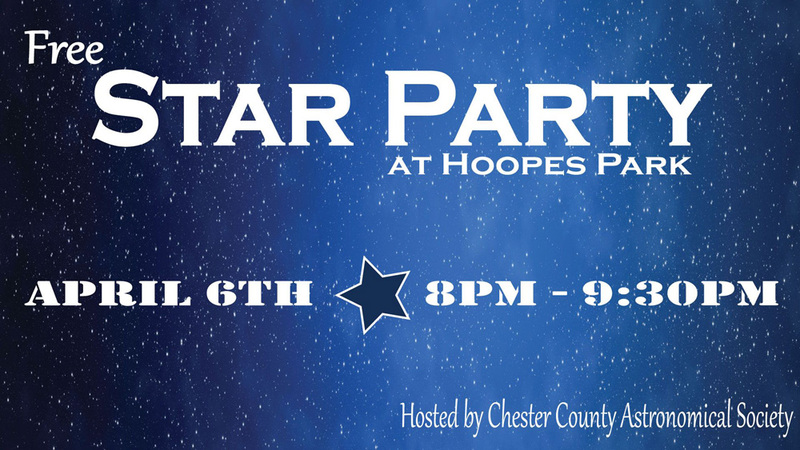 Guests can join West Chester Recreation and the Chester County Astronomical Society from 8-9:30 p.m. at Hoopes Park for the celestial event. Members of the Chester County Astronomical Society, a group of amateur astronomers, will bring telescopes and expertise to Hoopes Park to share the wonders of the night sky. As the glow of the Sun fades, participants will see the red planet Mars near a beautiful star cluster called the Pleiades, which is also known as The Seven Sisters. The winter constellations will be setting in the west and stargazes can look at the Orion Nebula in Orion the Hunter. The Beehive Cluster will be high in the sky and Leo the Lion will be in center stage in the south. It’s time for National Unicorn Day and Brandywine Ace Pet & Farm (1150 Pocopson Road, West Chester, https://www.facebook.com/events/404863323420508/?active_tab=about) is ready to help you celebrate. On April 7 from noon-2 p.m., Brandywine Ace is hosting its Second Annual National Unicorn Day celebration. In addition to the appearance by the horse with a horn, the event will feature face printing, cotton candy, and a make-and-take craft. Chaddsford Winery (632 Baltimore Pike, Chadds Ford, 610-388-6221, www.chaddsford.com) is hosting an event called “Friday Night Wine Down” Every Friday Night now through October 25 from 5-9 p.m. each night. Happy Hour specials will run from 5-7 p.m. and feature “half off” on glasses of selected wines and specialty wine cocktails. The evenings will also feature food truck fare, live music, board games, and popular local wine, beer, and cocktails. The following are the weekly specials for this month — April 5: Sunset Blush specials, Rosie Blush Coolers and Sangria Cocktails, Food Truck fare from Madi’s on a Roll; April 12: Chaddsford White specials, The Black Lab and The Regal Beagle cocktails, Food Truck fare from Ka’Chai; and April 19: Release of Dry Rosé, Dry Rosé specials, Blushing Sweetheart and Sunset Cosmo cocktails, Live Music by Joshua Howard and Food Truck fare from The Plum Pit. May’s schedule includes — May 3: Live Music by Joshua Howard and Food Truck fare from Dump-N-Roll and Gemelli Gelato; May 10: Food Truck fare from Phyllodelphia and Gemelli Gelato; May 17: Food Truck fare from Dump-N-Roll and Gemelli Gelato; May 24: Live Music by Marielle Kraft and Food Truck fare from Mama Mia and Gemelli Gelato; and May 31: Food Truck fare from Dos Gringos and Gemelli Gelato. No outside alcohol permitted. Children are permitted and welcome on Winery grounds only when accompanied and supervised by an adult (over 21). On April 6, the Railroad Museum of Pennsylvania (300 Gap Road, Strasburg, 717-687-8628, www.rrmuseumpa.org) is presenting a special event called “Rails &Ales,” a craft beer tasting event that will take place among the museum’s amazing historic trains. Participants are invited to enjoy an evening of responsible adult fun, featuring breweries, food trucks and live music. Some of the participating breweries at this year’s fourth annual staging of “Rails & Ales” are Moo Duck Brewery, Seven Sirens Brewing Company, Saucony Creek Craft Brewery, Howling Henry’s Brewery, Bald Birds Brewing Company and Stoudt’s Brewing Company. “Rails & Ales” will run from 6:30-10 p.m. Tickets are $40 and designated driver tickets are available for $15. 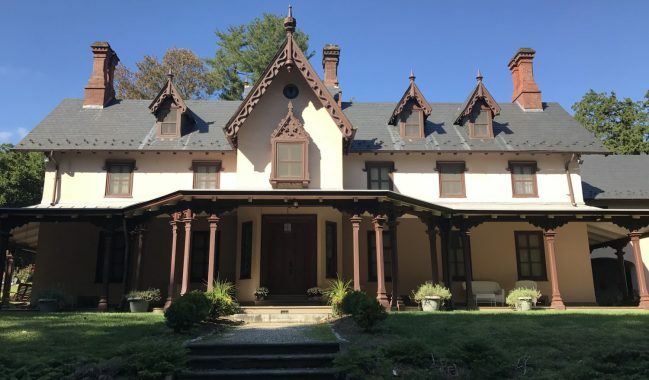 The Historic Grange Estate (143 Myrtle Ave., Haverford Township, https://thegrangeestate.org) will celebrate its 44th season with the “Spring Opening of Grange Estate” on April 6 and 7. Tours of the mansion are 1-4 p.m., most Saturdays and Sundays, through October 27, with the last tour beginning at 3:30 p.m. Tours are conducted by volunteers, and admission is $5 for adults, $1 for children 5-10 and free for those under the age of 5. The Grange Estate’s Gift Shoppe will also be open during tour hours and is brimming with hand-crafted “Made-in-America” gifts. On April 6 and 7, there will be an “Attic Treasures Sale.” Hours are 8 a.m.-noon on Saturday and 9 a.m.-noon on Sunday. Hope Lodge (553 South Bethlehem Pike, Fort Washington, 215-343-0965, http://www.ushistory.org/hope/) will be presenting “Guided Mansion Tours” on three Sundays this month – April 7, 14 and 28. Hope Lodge was built between 1743 and 1748 by Samuel Morris, a prosperous Quaker entrepreneur. Morris acted as a farmer, shipowner, miller, iron master, shop owner, and owner of the mill now known as Mather Mill. Hope Lodge is an excellent example of early Georgian architecture, and it is possible that Edmund Woolley, architect of Independence Hall, offered advice in building. Samuel Morris owned the estate until his death in 1770. Visitors can participate by watching a short film and then taking a tour. Guided tours of the mansion will depart at 1 and 2:30 p.m. all three days. Tour admission is $8 for adults, $5 for seniors (age 65+) and for youth age 6-17, and fee for children under 5. Hope Lodge is a Blue Star Museum which means that active duty military personnel, including National Guard and Reserve and their families, are admitted free for regular tours from Memorial Day through Labor Day. The Easter Bunny is known for hopping around but not always. Sometimes, he opts for a different form of locomotion – with real locomotives. Sometimes, instead of bouncing along the ground, the big happy rabbit rides a train. This weekend, the holiday bunny will start his three-weekend stint of riding trains all around the area. The New Hope and Ivyland Railroad (32 West Bridge Street, New Hope, 215-862-2332, www.newhoperailroad.com) is running its annual Easter Bunny Express on April 6 and 7 and again from April 13-21 with departures at starting at 11 a.m. The Easter Bunny is going to ride onboard the train where he will visit with each child, hand out special treats and pose for pictures. Coach tickets are $34.99 for adults, $32.99 for children (ages 12-plus) and $9.99 for toddlers (under 2). The train ride departs from and returns to the New Hope Train Station. Riders can take in the sights of early spring as the Easter Bunny visits with all of the children handing out special candy treats and posing for photos taken by the railroad staff. The museum offers this invitation — Enjoy a morning at the Museum and we’ll fix a pancake breakfast for the whole family. After a wonderful meal, watch your children delight as they hunt for treat-filled eggs in our egg hunt through our gardens. Participants are advised to dress accordingly for an outdoor egg hunt. In the event of inclement weather, the egg hunt will be moved inside. Visitors to the museum can explore the Museum’s exhibits including the current traveling exhibit “Design Zone,” visit the site’s Nature Nook, and make a themed craft. Tickets are $14 and pre-registration is required. On April 5, Upper Schuylkill Valley Park (1600 Blackrock Road, Royersford, 610-948-5170) is hosting a special event called “Hippity Hop” starting at 10 a.m. Participants will have the opportunity to visit the park to meet the site’s adorable resident rabbits. Park guides will talk about wild rabbits as well as their domesticated relatives. A craft will be included to make and take home. Norristown Farm Park (West Germantown Pike and Barley Sheaf Drive, 2500 Upper Farm Road, Norristown, 610-270-0215, http://www.montcopa.org/874/Norristown-Farm-Park) is hosting an “Eco-Egg Hunt” on April 7. The educational egg hunt will be held in two sessions – 2 p.m. for ages 3-5 years and 2:15 p.m. for ages 6-8 years. Children ages 6–8 will be challenged to find eggs by following a series of ecological clues hidden in eggs that are in the woods and fields. The treasure trove will be found at the end of the hunt. Younger children (ages 3–5) will simply hunt for eggs. Children ages 3-5 should bring a small basket for collecting. The fee for either event is $1 per child. On April 6 and 7 and again from April 13-20, there will be a special event called “Hayrides to Bunnyland” at Linvilla Orchards (137 West Knowlton Road, Media, 610-876-7116, www.linvilla.com). The hayride to Bunny’s House features a ride in a hay-filled trailer that travels around Linvilla’s grounds and eventually arrives at the house of Linvilla’s Easter Bunny. “Hayrides to Bunnyland” run every 15 minutes from 11 a.m.-4 p.m. Tickets, which are $9 per person, can be purchased in the Garden Center. The Bucks & Montgomery County Home Show will be held from April 5-7 at the SMG SportsPlex (654 York Road, Warminster, 888-560-3976,www.acshomeshow.com). The well-received annual springtime event is geared for homeowners who are interested in remodeling, landscaping and decorating their homes. It features hundreds of exhibits with merchandise, product demonstrations and sample interior and exterior vignettes. The list of exhibitors includes contractors, landscapers, architects and interior designers. There will also be manufacturers’ representatives who will be presenting samples of products and offering ideas to spark inspiration. Exhibitor categories include kitchens, bathrooms, windows, roofing, siding, general contractors, landscaping, gutters, solar decks, dormers, sunrooms, awnings. basement systems, countertops, doors, flooring, and pavers. The expansive list also includes waterproofing, generators, HVC, outdoor lighting, plumbing, garage doors, painting, tile and marble, security systems, appliances, electrical services, energy conservation, fireplaces, insulation, and hot tubs. The show, which features free admission and free parking, will be open from 11 a.m-8 p.m. on Friday, 10 a.m.-8 p.m. on Saturday and 10 a.m.-6 p.m., on Sunday. Historians have discovered beads that date back almost 40,000 years. The name “bead” is derived from “bede”, which meant “prayer” in Middle English. Beads have been made from a variety of materials and have been used as prayer items, ornamentation, money, decoration and amulets. Now through April 7, you can get a bead on the subject by attending an event that is all about beads – the Innovative Bead Expo at the Greater Philadelphia Expo Center (100 Station Avenue, Oaks, 610-232-5718, www.phillyexpocenter.com). This is an event that claims to be the largest bead and jewelry show on the East Coast. Billed as a “bead and jewelry extravaganza”, the huge annual event will feature hands-on jewelry making classes, informative seminars, beading competitions and a large vendor’ area where visitors can purchase everything from beading supplies to hand-crafted jewelry. Bead Fest will have close to 180 booths and over 70 workshops which will be presented by experts in the bead and jewelry fields. A number of special techniques will be demonstrated, including, wire weaving, bead stitching, lampworking, metal clay, chain maille, wire and metal, kiln fusing, wire knitting, design, wire and beads, bead crocheting, metal smithing, bead stringing and wire wrapping. The hours for Bead Fest Spring are 10 a.m.-5 p.m. on Friday and Saturday and 10 a.m.-4 p.m. on Sunday. Tickets are $10 and are good for the entire weekend. The Expo Center is also hosting the 5th Indo American Shopping and Food Fest on April 5 and 6. The “Fifth Desi Mela” will feature a large number of vendors with a wide array of items relating to the Indian sub-continent. There will be attractions and entertainment for all ages including kids’ activities, henna, cooking demonstrations, real estate information, mouth-watering food and Bollywood music with its irrepressible dance numbers. Admission is $3 payable at the entrance on Saturday and free on Friday.